Easy To Install-Plug and PlayThe USB Charging Port Must Be Connect, if not, the product will not work. It can support YouTube/ Office/ Safari/ Chrome/ FaceTime, While NOT support NETFLIX / Amazon Video/ DIRECTV/ Hulu. And may not support paid videos in the app.!!! 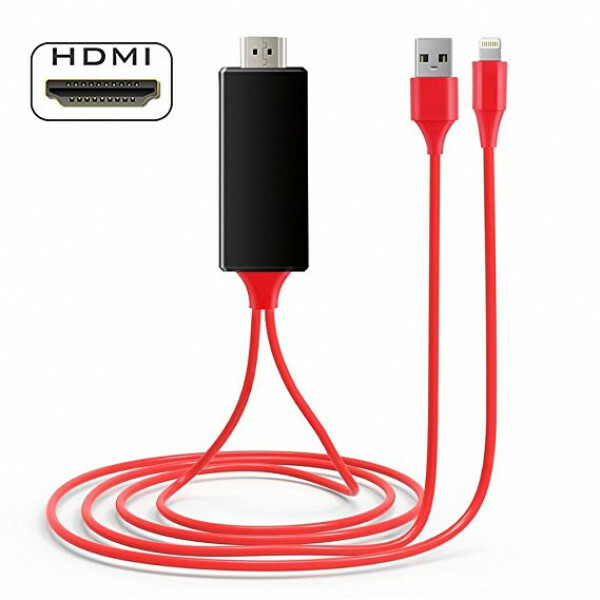 As the newest Lightning to HDMI cable, this item needn't install any driver software or APP, just connect your Phone with HDTV by this cable. Make you more convenient than first generation product. Digital AV Cable to the Lightning connector on your device and then to your TV or projector. 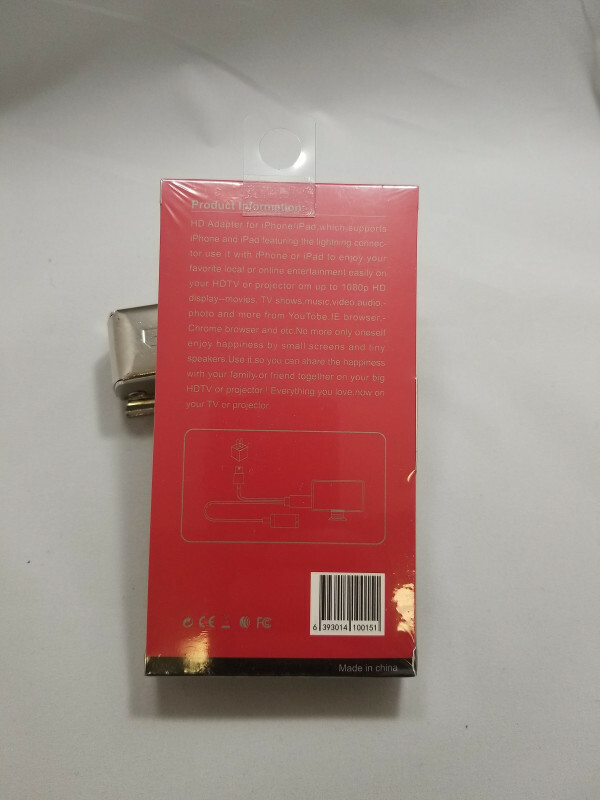 Compatibility This item enables support for multiple devices, such as for iPhone X/ iPhone 8 / 8 Plus iPhone7 / 7 Plus, iPhone 6s / iPhone 6s Plus, iPhone 6 / 6 Plus, Pad Air/mini/Pro, Pod touch(5th Generation) Support iPhone audio/video signal convert into HD digital signal to all TVs with HDMI ports. Long Length Design 2M/6.5FT in Length: It is long enough for you to have a wonderful array of it, let you please and comfortable to share music, video, Files with your family or share a meeting with your colleagues. Full 1080P Support Supports all video resolutions and audio formats including HDTV video and digital audio, It supports mirroring of what is displayed on your device screen - including apps, presentations, websites, slideshows and more - to your HDMI-equipped TV, display, projector or other compatible display in up to 1080p HD. Easy To Install-Plug and PlayThe USB Charging Port Must Be Connect, if not, the product will not work. It can support YouTube/ Office/ Safari/ Chrome/ FaceTime, While NOT support NETFLIX / Amazon Video/ DIRECTV/ Hulu. And may not support paid videos in the app.!!! 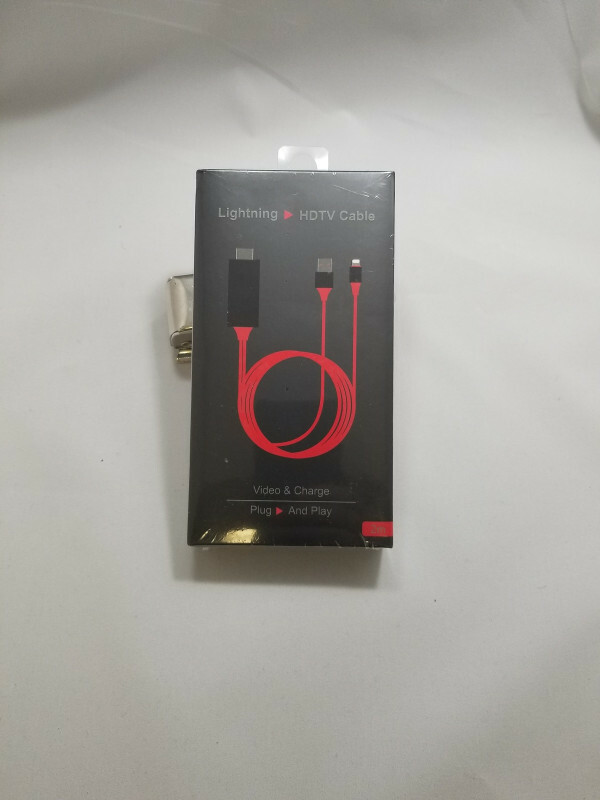 As the newest Lightning to HDMI cable, this item needn't install any driver software or APP, just connect your Phone with HDTV by this cable. Make you more convenient than first generation product. Small Screen to Large Screen By applying this Lightning to HDMI Adapter Cable, you could easy to upload and mirror what is displaying on your iPhone device to a large device screen like HDTV, Projector, and Computer. Simply attach the Lightning Digital AV Cable to the Lightning connector on your device and then to your TV or projector. Compatibility This item enables support for multiple devices, such as for iPhone X/ iPhone 8 / 8 Plus iPhone7 / 7 Plus, iPhone 6s / iPhone 6s Plus, iPhone 6 / 6 Plus, Pad Air/mini/Pro, Pod touch(5th Generation) Support iPhone audio/video signal convert into HD digital signal to all TVs with HDMI ports. Long Length Design 2M/6.5FT in Length: It is long enough for you to have a wonderful array of it, let you please and comfortable to share music, video, Files with your family or share a meeting with your colleagues. Full 1080P Support Supports all video resolutions and audio formats including HDTV video and digital audio, It supports mirroring of what is displayed on your device screen - including apps, presentations, websites, slideshows and more - to your HDMI-equipped TV, display, projector or other compatible display in up to 1080p HD.